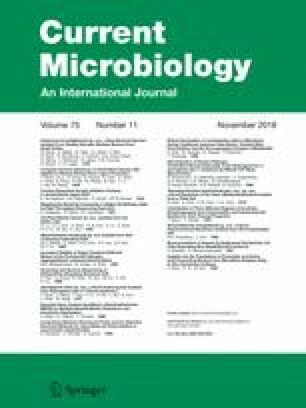 Two yellow-coloured, Gram-stain-negative, motile, and rod-shaped bacteria, designated strains R-10-10T and R-10-15 were isolated from oil-contaminated soil. Both strains were able to grow at 4–40 °C, pH 5.5–10.5, and 0–4% (w/v) NaCl concentration. These strains were taxonomically characterized by a polyphasic approach. Based on the 16S rRNA gene sequence analysis, both strains, R-10-10T and R-10-15, could be affiliated to the genus Brevundimonas and shared highest sequence similarity with Brevundimonas staleyi FWC43T (98.8%), Brevundimonas bullata TK0051T (98.6%), and Brevundimonas subvibrioides CB81T (98.3%). The pairwise sequence similarity between strains R-10-10T and R-10-15 was 99.9%. Both strains R-10-10T and R-10-15 contained phosphatidylglycerol, diphosphatidylglycerol, and four unidentified glycolipids as major polar lipids; ubiquinone-10 as sole respiratory quinone; and summed feature 8 (C18:1ω7c and/or C18:1ω6c), C16:0, summed feature 3 (C16:1ω7c and/or C16:1ω6c), and C18:1ω9c as major fatty acids. The genomic DNA G+C content values of strains R-10-10T and R-10-15 were 67.1 and 66.9 mol%, respectively. The DNA–DNA relatedness between R-10-10T and R-10-15 was higher than 70% but the values were less than 55% with closely related reference type strains. The morphological, physiological, chemotaxonomic, and phylogenetic data clearly distinguished strain R-10-10T from its closest phylogenetic neighbors. Thus, strain R-10-10T is considered to represent a novel species of the genus Brevundimonas, for which the name Brevundimonas mongoliensis sp. nov. is proposed. The type strain is R-10-10T (=KEMB 9005-696T = KACC 19387T = JCM 32172T), and strain R-10-15 is considered as an additional strain of the novel species. The GenBank/EMBL/DDBJ accession numbers for the 16S rRNA gene sequence of strains R-10-10T and R-10-15 are MF436701 and MF436702, respectively. The Digital Protologue database TaxonNumber for type strain R-10-10T is TA00428. The online version of this article ( https://doi.org/10.1007/s00284-018-1555-4) contains supplementary material, which is available to authorized users. This research was supported by Basic Science Research Program through the National Research Foundation of Korea (NRF) funded by the Ministry of Education (2016R1D1A1A09916982). This study does not describe any experimental work related to human.